Fairview Memorial Park in July 2017. The receiver in charge of the cemetery is seeking a buyer for the facility. 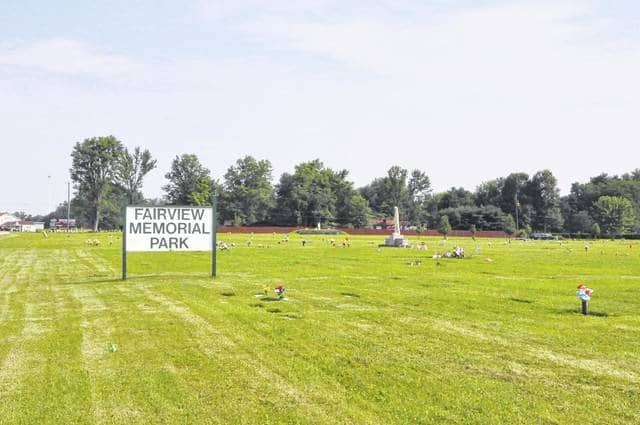 The receiver of Fairview Memorial Cemetery has filed his third report in Delaware County Common Pleas Court and said he is reaching out to potential purchasers. Strip said he attempted to negotiate the clauses in good faith but the company refused and Strip broke off negotiations. The report states that Strip has “reached out in two additional directions to discuss with potential purchases the acquisition of the property,” but added that it would be premature to speculate on the results of these contacts. Strip said he would inform the court as soon as he receives any serious offers. In the report, Strip also thanked the group of volunteers that have maintained the cemetery since before he was appointed. Strip previously reported that when he was appointed to the case, there was an overdraw in the cemetery’s bank account, but reported that after performing several burials, the trust account contained $3,650 as of July 13. The Martins remained in prison for a separate federal tax evasion charge Thursday. They are scheduled to stand trial in Delaware County Common Pleas Court on Oct. 10.